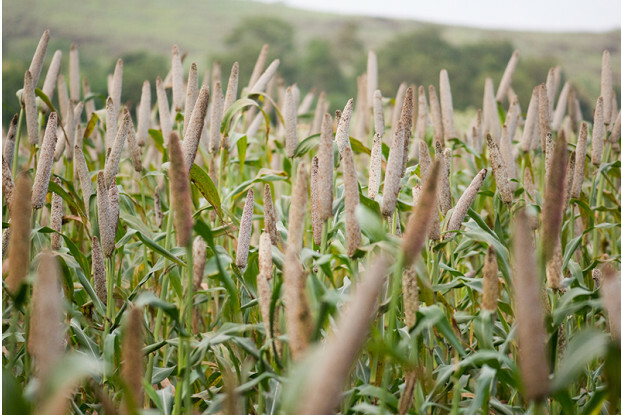 Hybrid pearl millet is an introduced, warm-season annual grass commonly used for livestock forage and as a cover crop. It’s very quick to establish and can be ready for grazing in as little as four weeks after planting. Unlike sorghum and sudangrass, there is no risk of prussic acid poisoning with pearl millet. It can grow very tall and upright, often reaching between 6 and 10 feet high. Does well in soils with low fertility. Hybrid pearl millet also produces seeds that are an excellent food source for birds and makes an excellent component in wildlife food plots.